Aloha! Come with us to the Island of Paradise and join in on the ultimate Luau Party! This fun, girly and exciting package is perfect for those who want to try something a little different and learn the elegant art of Polynesian Hula Dancing from Lady Velvet Cabaret, one of the first companies in WA to offer an authentic Hula party package. 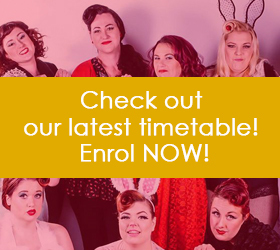 Your instructor will arrive in full costume to celebrate the big occasion with you, starting with a number of fun themed games to ensure your hips are fully warmed for the main event, before teaching you the graceful style of Hula Dancing. You will get to learn the origins of Hula Dance as well as a number of authentic and traditional moves, and even get to put together your very own routine. Don’t forget your camera to catch all the fun and hilarious moments that are guaranteed to occur! 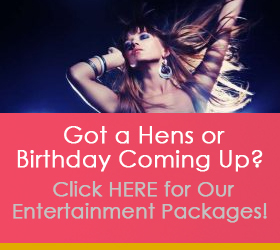 This Entertainment Package comes complete with a Gift Bag filled with Hula essentials for the Hen or Birthday Star.